Wine Maps version 3.1 is available on the App Store. Click Here to purchase. 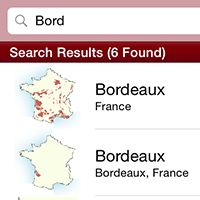 Wine Maps version 3.1 is also available on Amazon's App Store. Click Here to purchase. There are 105 maps, which cover seventeen countries and their sub regions. 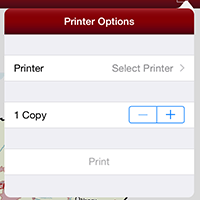 No additional costs, and Wine Maps has been regularly updated over the last three years. Works offline. Wine Maps stores the necessary data on your device, and doesn't need to access the internet. From the App Store's around the world, and via email. As a long time student of wine this app has helped me out a lot. Puts every other attempt of wine maps to shame in the app world. In studying for the sommelier exams, maps can be crucial to understanding relationships between regions and having as detailed maps as this app provides is incredibly useful and invaluable. It is beautifully put together and an absolute must for wine lovers. I cannot recommend this app highly enough. Very clear and easy to read, beautiful presentation, nice pocket reference to the worlds wine regions. Fabulous educational help for the casual wine enthusiast. A convenient, handy, pocket tool for wine professionals... All of the worlds wine regions in simple HD format in the palm of your hand !!! The best all around wine map app in the store. I use it almost daily and it's indispensable! 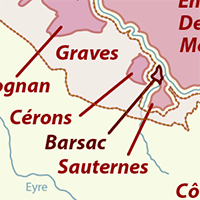 Clear and simple app showing details and names of wine regions for connosseurs. Wanted to let you know I think you are doing a great job. I appreciate the updates. I sell wine in the states and have been telling all of my fellow salespeople about the app. Keep up the great work!